The planet Jupiter has a very strong magnetic field which forms the largest object in the solar physics. 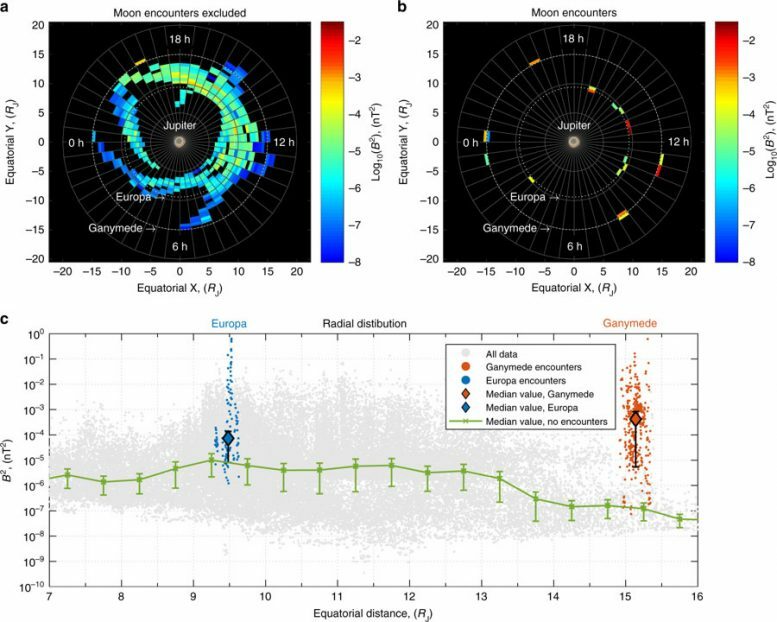 Observations of Jupiter’s magnetosphere in the 1990s provided a unique opportunity to understand how magnetic fields interact with particles and how moons of Jupiter can change the environment of the gas giant. One of the most surprising and fascinating discoveries about the moons of the giant planet was made by UCLA’s Margaret Kivelson – a professor emerita in the Department of Earth, Planetary, and Space Sciences – and her team, who found the internal magnetic field on Jupiter’s moon Ganymede. In 1996, a team of scientists led by University of Iowa Professor Don Gurnett noticed that strong plasma waves were observed near Ganymede. These waves are similar to waves observed on the surface of the water. However, unlike water waves, it is electric and magnetic fields which increase and decrease during these oscillations. The particular type of waves that they observed are often referred to as “chorus waves,” as they can be played through a radio and the sound similar to a multi-voiced chorus. Galileo mission wave power statistics: a Average chorus intensity in each bin (ΔRJ = 0.5, ΔMLT = 0.5 h) for the equatorial region from 27 June 1996 until 5 November 2002, excluding encounters with the moons. b Same as a but for encounters with Europa (~9.4 RJ) and Ganymede (~15 RJ), positive x is toward the Sun (noon MLT), axes are in the magnetic equatorial plane. c Scatter plot of wave power as a function of the distance from Jupiter. Blue dots show Galileo encounters with Europa. 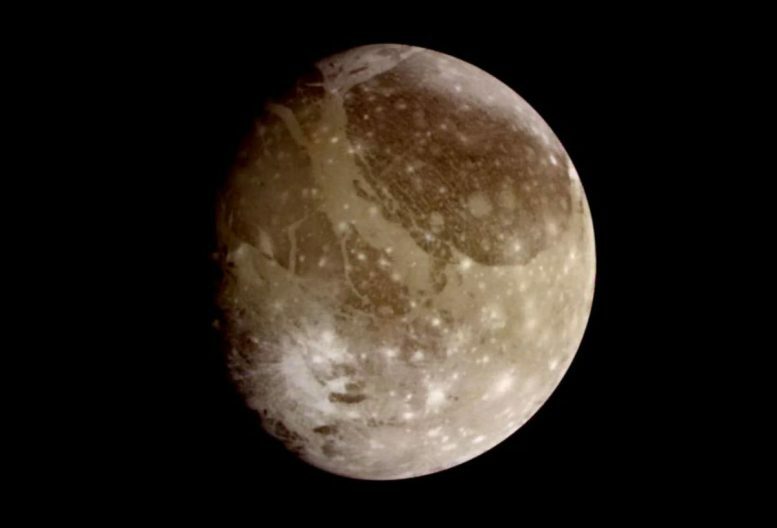 Red dots show encounters with Ganymede. Diamond points are median values during encounters. Green line shows median values of the wave power excluding encounters. The error bars are absolute mean deviation. Median wave power during the encounters for Ganymede and Europa significantly exceeds the median values at corresponding distances from Jupiter. Be the first to comment on "Million-Fold Increase in the Power of ‘Chorus Waves’ Near Jupiter’s Moons"